Marvin Daniel Harrison (born August 25, 1972, in Philadelphia, Pennsylvania) is an American football player who played for Syracuse University and is currently playing in the NFL for the Indianapolis Colts. Harrison is one of the three most valuable wide receivers. He possesses great speed, route-running skills and the ability to make plays every time he touches the ball. Harrison benefits from a great rapport with quarterback Peyton Manning, not to mention the support of a strong running game led by Joseph Addia & Dominick Rhodes and an improved group of complementary receivers. Former Bills head coach Marv Levy once said, "He wants to be judged by his performence, not his celebrations and antics". In a recent CNN Sports poll, 3 of the 5 NFL cornerbacks interviewed said they would rather not defend Harrison 1-on-1 out of any receiver in the league. Many have said that Randy Moss is the only receiver with an opportunity to break Jerry Rice's records. Statistically, however, Marvin Harrison's averages would reach all of Jerry Rice's numbers faster then Randy Moss's would. From 1999, his break-out season, no one has caught more passes, more yards, or more TD's. In fact, his 7 straight seasons of at least 80+ receptions, 1000+ yards, or 10 or more touchdowns is a feat that no receiver has ever matched. He is considered likely to be a first ballot hall of famer when he retires. He is 16 receptions away from passing Art Monk, a remarkable feat considering Monk played 16 seasons, whereas Harrison has played only ten. Marvin is also known by fans and fellow players for his uncanny sportsmenlike conduct. He has rarely, if at all celebrated after a touchdown. It is a main reason why many people feel he is one of the biggest role models in the NFL. This could also be a primary reason why he is hardly mentioned by the media, primarily ESPN, compared to the coverage fellow receivers Terrell Owens, Randy Moss, and Chad Johnson receive. After he caught his 900th career reception in 2005, he celebrated by running back to the huddle for the next play. Pick was obtained in package from Atlanta in QB-Jeff George trade. He was drafted in 1996 by the Colts out of Syracuse University as the 19th overall pick. On December 9, 2004 Harrison signed a seven-year extension worth $67 million. * At the end of the 2004 season Harrison was averaging 94 receptions per season (93.8 rounded), which is an all time record (which he still holds), he was well ahead of second place Sterling Sharpe who averaged 85 receptions per season. * Holds the record for most Receptions in a single season with 143, obliterating the previous record of 123 set by Herman Moore. * Only player to have four consecutive 100 or more reception seasons in NFL history. * Became the only player ever in the history of the NFL to have six double digit reception games in one single season in the 2002 regular season. * Became the only player in NFL history to have 12 games with 8 or more receptions in a single season in 2002. * Marvin Harrison and Peyton Manning hold the record for most receptions between a QB and a WR with 723 receptions. * Marvin Harrison and Peyton Manning also hold the record for most receiving yards between a QB and a WR with 9641 receiving yards. * Harrison trails only Jerry Rice in 1500 or more receiving yard seasons. He has 3 such seasons, Rice had 4. * Marvin Harrison averages approximately 6 receptions per regular season game, an NFL record. * Marvin Harrison and Peyton Manning currently hold the NFL record in receiving touchdowns between a QB and WR with 92 as of Sunday, December 04, 2005. * Marvin Harrison achieved 900 career receptions in the shortest period of time in NFL history. * With 51 career 100 yard receiving games, Marvin Harrison now ranks #2 all time behind Jerry Rice and his 76 career 100 yard receiving games. * With 7 straight seasons of 1000 yards or more and 10 or more receiving TD's, Marvin Harrison has now set an NFL record passing Jerry Rice. * Second fastest player to achieve 100 receiving TD's. Ranks as most productive receiver in Colts history&ldots;holds franchise records with 845-11,185, 98 TDs receiving, and owns club records with 47 100+ games, receptions in 139 consecutive games and 69 career games with touchdown receptions&ldots;surpassed prior franchise marks of WR-Raymond Berry (631-9,275, 68 TDs), records that stood since 1967&ldots;broke Berry's mark for receptions 12/8/02 at Tennessee, yards 10/12/03 vs. Carolina and touchdowns 11/17/02 vs. Dallas&ldots;ranks 2nd in club history to Berry (142) in games with receptions&ldots;has receptions in first 139 games of career, 2nd-best among all-time NFL players to start a career (158, Marshall Faulk)&ldots;receptions in 139 consecutive games rank as longest active streak in NFL&ldots;is only NFL player with 100+ receptions in four consecutive years (1999-02)&ldots;became 69th NFL player with 500 career receptions with 12-127, 1 TD vs. NYJ 12/23/01 and became 28th NFL player with 600 career receptions with 14-138, 2 TDs vs. Dallas 11/17/02&ldots;reached 600 receptions in 102 career games, the fastest streak in games played to that plateau in NFL history (118, Herman Moore, Detroit)&ldots;became 15th player with 700 career receptions vs. Carolina 10/12/03&ldots;reached 700 in 114th game, the fastest streak in games played to that plateau in NFL history (139, Rice)&ldots;became 11th player with 800 career receptions vs. Minnesota 11/8/04&ldots;reached 800 in 131st game, the fastest streak in games played to that plateau in NFL history (154, Rice)&ldots;the fastest streaks to 900 and 1,000 receptions are 168 and 181 games by Rice...had 706 receptions in first 114 career games&ldots;of 24 WRs in Pro Football Hall of Fame, only one (501, Lance Alworth) had as many as 500 receptions in first 114 games&ldots;has most receptions over 1st 4 (311), 7 (665), 8 (759) and 9 (845) seasons of career than any NFL receiver&ldots;143 receptions in 2002 bested prior NFL seasonal record of Moore (123, 1995)&ldots;has averaged 6.1 receptions per game (845 in 139 games) for career, the best average in NFL history&ldots;ranks 6th-best among all NFL teams' career reception leaders (1,281, Rice, San Francisco, 1985-00; 1,070, Tim Brown, Oakland, 1988-03; 1,004, Cris Carter, Minnesota, 1990-01; 941, Andre Reed, Buffalo, 1985-91; 888, Art Monk, Washington, 1980-93)&ldots;845 receptions rank 7th among the NFL's career reception leaders (1,549, Jerry Rice; 1,101, Cris Carter; 1,094, Tim Brown; 951, Andre Reed; 940, Art Monk; 851, Irving Fryar)&ldots;Harrison (11,185) ranks 15th among the NFL's career reception yardage leaders (22,895, Rice; 14,934, Tim Brown; 14,004, James Lofton; 13,899, Cris Carter; 13,777, Henry Ellard; 13,198, Andre Reed; 13,089, Steve Largent; 12,785, Irving Fryar; 12,721, Art Monk; 12,146, Charlie Joiner; 11,904, Michael Irvin; 11,834, Don Maynard; 11,753, Isaac Bruce; 11,264, Jimmy Smith)&ldots;with 47 100+ games, has 5 four-game 100+ streaks, while club mark is six by Berry (1960)&ldots;had 10 100+ games in 2002, setting club seasonal record, besting own prior record of 9 set in 1999, while he had 8 in 2000, 6 in 2003 and 4 in 2004&ldots;10 100+ games in 2002 tied for 2nd-best seasonal total in NFL history (Irvin, 11, Dallas, 1995; Charley Hennigan, 10, Houston, 1961; Herman Moore, 10, Detroit, 1995; Torry Holt, 10, 2003)&ldots;is T3rd in NFL career 100+ games (75, Jerry Rice; 50, Don Maynard; 47, Michael Irvin)&ldots;posted sixth consecutive 1,000+ reception yardage season in 2004 (1,113), and has 6 of 12 achieved in club history (1,298, Berry, 1960; 1,210, Reggie Wayne, 2004; 1,131, Bill Brooks, 1986; 1,077, Brandon Stokley, 2004; 1,038, Reggie Langhorne, 1993; 1,012, Roger Carr, 1976)&ldots;in 2004, Harrison (86-1,113, 15 TDs), Wayne (77-1,210, 12 TDs) and Stokley (68-1,077, 10 TDs) placed the Colts as one of four teams with three 1,000+ seasonal receivers in NFL history (San Diego, 1980, WR-John Jefferson (1,340)/TE-Kellen Winslow (1,290)/WR-Charlie Joiner (1,132); Washington, 1989, WR-Gary Clark (1,229)/WR-Art Monk (1,186)/WR-Ricky Sanders (1,138); Atlanta, 1995, RB-Eric Metcalf (1,189)/WR-Bert Emanuel (1,039)/WR-Terance Mathis (1,039))&ldots;Colts trio became first in NFL history to have 10+ seasonal touchdowns each&ldots;from 1999-03, Harrison set 5 highest seasonal reception and yardage totals in the Colts' 52-year history (115-1,663, 1999; 102-1,413, 2000; 109-1,524, 2001; 143-1,722, 2002; 94-1,272, 2003)&ldots;Harrison (1,722, 2002; 1,663, 1999) owns NFL's 4th-best and 7th-best seasonal reception yardage totals in NFL history (1,848, Rice, 1995; 1,781, Bruce, 1995; 1,746, Hennigan, 1961; 1,722, Harrison, 2002; 1,696, Torry Holt, 2003; 1,686, Moore, 1995; 1,663, Harrison, 1999)&ldots;in 2002, Harrison (1,722) produced 3rd 1,500+ season, and ranks behind Rice (4, 1986, 1990, 1993, 1995) for 2nd-most in NFL history&ldots;Harrison (3, 1999, 2001, 2002) was tied with Irvin (2, 1991, 95) and Hennigan (2, 1961, 64), while Holt (2, 2000, 2003) has produced two 1,500+ seasons&ldots;is only NFL player to post consecutive 1,500+ seasons and only nine other NFL players have achieved one 1,500+ season&ldots;Harrison (11,213 scrimmage/11,390 total) is T1st in Colts history in career yards from scrimmage (11,213, Moore) and 2nd in Colts total yards (12,449, Moore)&ldots;Harrison and RB-Edgerrin James have topped 100-yard marks in respective receiving and rushing categories 19 times together, 2nd-most in NFL history (20, RB-Emmitt Smith and WR-Michael Irvin, Dallas)&ldots;Harrison (98) is one of 17 NFL players with 80+ career touchdown receptions (197, Jerry Rice; 130, Cris Carter; 100, Steve Largent; 100, Tim Brown; 99, Don Hutson; 98, Marvin Harrison; 95, Terrell Owens; 90, Randy Moss; 88, Don Maynard; 87, Andre Reed; 85, Lance Alworth; 85, Paul Warfield; 84, Mark Clayton; 84, Irving Fryar; 84, Tommy McDonald; 84, Andre Rison; 81, Art Powell)&ldots;Harrison (69) set club record for most games with touchdown reception 11/30/03 vs. New England, snapping mark of Berry (56)&ldots;Harrison and QB-Peyton Manning have combined for 82 TDs, the most potent active touchdown duo in the league, the most potent in club history and the 2nd-most potent in NFL history (85, Steve Young-Jerry Rice, 1987-99, San Francisco)&ldots;ranks 2nd in Colts career TDs (113, Moore)&ldots;has 6 consecutive 10+-TD reception seasons (15, 2001; 15, 2004; 14, 2000; 12, 1999; 11, 2002; 10, 2003) and owns double-digit club receiving record (2, Berry), while only other 10+ seasons were recorded by Wayne (12, 2004), Jimmy Orr (11, 1962; 10, 1965), Carr (11, 1962), and Stokley (10, 2004)&ldots;six 10+-TD career seasons surpassed Moore (5, 1957-58; 60-61, 64) for most in club history&ldots;is only Colts player with 6 consecutive 10+ seasons&ldots;is only NFL player with 10+ touchdown receptions in last six consecutive seasons (1999-04)&ldots;Harrison, Wayne and Stokley produced the first 10+-TD seasonal trio in club history&ldots;in 2003, Harrison and James produced then the 7th 10+-TD seasonal tandem in club history (13, Lenny Moore/10, Raymond Berry, 1960; 15, Lydell Mitchell/11, Don McCauley, 1975; 11, Roger Carr/11, McCauley, 1976; 17, Edgerrin James/12, Marvin Harrison, 1999; 18, James/14, Harrison, 2000; 15, Harrison/10, Dominic Rhodes, 2001; 11, James/10, Harrison, 2003)&ldots;has 598 career points, 4th in Colts history and 2nd among non-kickers (874, K-Mike Vanderjagt; 783, K-Dean Biasucci; 678, Moore)&ldots;Harrison and Manning have combined for 702 completions, surpassing Jim Kelly and Andre Reed's NFL mark (663) for most completions between two players&ldots;Harrison and Manning have combined for 9,410 yards, while Kelly and Reed hold the record of 9,538 yards&ldots;from 1999-04, has six consecutive Pro Bowl bids, ranking only behind John Unitas (8, 1957-64) and OG/T-Jim Parker (8, 1958-65) for the longest streaks in Colts history, and is tied with DE-Gino Marchetti (6, 1959-64)&ldots;has led club in receptions and TDs in eight of nine seasons, while he has led the team in receiving yards in seven of nine seasons&ldots;has 15 50+-yard and 43 20+-yard touchdown receptions&ldots;had streak of 34 consecutive games with at least three receptions end at Jacksonville 11/9/03&ldots;Harrison holds 14.3 yds/rec. avg. on 16 TDs (16-229) with players other than Manning, but holds 24.7 yds/rec. avg. on 82 TDs (82-2,023) 1998-present with Manning&ldots;16 games with 10+ receptions is club record. 2004: Started 16 games at WR&ldots;earned sixth consecutive Pro Bowl bid, standing among the longest streaks in Colts history (8, John Unitas, 1957-64; 8, OT-Jim Parker, 1958-65; 6, DE-Gino Marchetti, 1959-64)&ldots;was 86-1,113, 15 TDs receiving&ldots;TD total matched own club record set in 2001&ldots;was Associated Press NFL All-Pro second-team, College and Pro Football Newsweekly NFL All-Pro second-team&ldots;was 7-44, 1 TD (3t) at New England 9/9&ldots;was 10-98 at Tennessee 9/19&ldots;was 5-65, 1 TD (28t) vs. Green Bay 9/26&ldots;was 4-45, 1 TD (15t) at Jacksonville 10/3&ldots;was 3-44 vs. Oakland 10/10&ldots;was 5-70, 2 TDs (7t, 39t) vs. Jacksonville 10/24&ldots;was 5-119, 2 TDs (52t, 22t) at Kansas City 10/31&ldots;was 6-81 vs. Minnesota 11/8 and became 11th player with 800 career receptions&ldots;reached 800 in 131st game, the fastest streak in games played to that plateau in NFL history (154, Rice)&ldots;Harrison and Manning also passed Jim Kelly and Andre Reed's NFL mark (663) for most completions by a tandem in NFL history&ldots;was 2-22 vs. Houston 11/14&ldots;was 4-49, 1 TD (10t) at Chicago 11/21&ldots;was 12-127, 3 TDs (13t, 10t, 5t) at Detroit 11/25 for club-record eighth career 3-TD outing and club-record 16th career 10+-reception game&ldots;was 4-106, 1 TD (24t) vs. Tennessee 12/5 as Manning and Harrison connected for their 80th TD play, surpassing Dan Marino and Mark Clayton (79) for second in NFL history (Steve Young and Jerry Rice (85, 1987-99) hold the NFL record)&ldots;was 3-26, 1 TD (3t) at Houston 12/5&ldots;had TD in fifth straight outing with 5-73, 1 TD (29t) performance vs. Baltimore 12/19&ldots;was 6-111 vs. San Diego 12/26 for 47th career 100+ game, tying Michael Irvin for third-most 100+ games in NFL history (75, Jerry Rice; 50, Don Maynard)&ldots;was 5-33, 1 TD (7t) at Denver 1/2&ldots;ranked fifth in AFC receptions, ninth in AFC yards and first in AFC touchdown receptions, second in NFL&ldots;had four 100+ games&ldots;posted club-record sixth consecutive 10+-touchdown season and stands as only NFL receiver with double-digit totals in last six seasons&ldots;had TDs in eleven outings, including three multiple-TD games&ldots;had multiple receptions in all 16 games and has had multiple receptions in 137 of 139 career games&ldots;extended club record for most consecutive 1,000+ seasons to six&ldots;owns six of the 12 1,000+ reception yardage seasons achieved in Colts history&ldots;produced 6th 1,000+ scrimmage yards season, joining Lenny Moore for most in Colts history&ldots;ended season with 11,213 career scrimmage yards, tying Moore for club record&ldots;has 11,390 total yards and ranks second behind Moore (12,449)...Harrison and Manning had 63 scoring plays from 2000-2004 to mark the highest total of any QB-WR tandem in a five-year span in NFL history (their total of 61 from 1999-03 is the second-highest mark). POST-SEASON: Started 1/9 vs. Denver and 1/16 at New England and was 9-95 receiving&ldots;was 4-51 vs. Denver and 5-44 at New England. 2003: Started 15 games&ldots;missed 11/16 vs. NYJ with hamstring injury, snapping string of 73 consecutive starts&ldots;earned 5th consecutive Pro Bowl bid and produced outstanding season with 94-1,272, 10 TDs receiving&ldots;reception total ended NFL-record streak of four consecutive 100+-reception seasons&ldots;was Associated Press NFL All-Pro second-team, Sporting News NFL All-Pro and PFW/PFWA All-AFC Team choice&ldots;posted club-record 5th consecutive 10+-touchdown season&ldots;ended season with 10,072 receiving yards, snapping WR-Raymond Berry's club mark (9,275)&ldots;was 9-44 at Cleveland 9/7&ldots;was 3-59, 1 TD (35t) vs. Tennessee 9/14&ldots;was 4-31 vs. Jacksonville 9/21&ldots;was 6-158, 3 TDs (14t, 79t, 32t) at New Orleans 9/28 for club-record 7th career 3-TD outing&ldots;was 11-176, 2 TDs (37t, 28t) at Tampa Bay 10/6 as TD total with Manning reached 64, passing tandem of John Unitas-Berry (63)&ldots;28t score came on 4th-down as Colts erased 21-point deficit in final four minutes in eventual 38-35 OT win&ldots;earned AFC Offensive Player-of-the-Week honors&ldots;was 8-119 vs. Carolina 10/12, surpassing 700 receptions in 114th career game, fastest pace in NFL history (139, Moore)&ldots;was 8-100 vs. Houston 10/26 for 5th career four-game 100+ streak&ldots;was 6-60 at Miami 11/2 and 1-30, 1 TD at Jacksonville 11/9 before injuring hamstring&ldots;was 6-47 at Buffalo 11/23 and 7-88, 1 TD (26t) vs. New England 11/30&ldots;was 10-124 at Tennessee 12/7 and 7-117, 2 TDs (17t, 16t) vs. Atlanta 12/14&ldots;was 6-85 vs. Denver 12/21 and 2-34 at Houston 12/28&ldots;ranked 4th in AFC receptions, 7th in NFL, 3rd in AFC yards, 6th in NFL and T2nd in AFC touchdown receptions, T4th in NFL&ldots;had six 100+ games&ldots;produced 5th 1,000+ reception yardage season, extending own club record for most 1,000+ and most consecutive 1,000+ seasons&ldots;produced 5th 1,000+ scrimmage yards season. POST-SEASON: Started 1/4 vs. Denver, 1/11 at Kansas City and 1/18 at New England and was 16-250, 2 TDs receiving&ldots;was 7-133, 2 TDs vs. Denver and, along with WR-Brandon Stokley (4-144, 2 TDs), set club playoff record for most scoring receptions in a game&ldots;had 46t and 23t receptions&ldots;was 6-98 at Kansas City and 3-19 at New England. 2002: Made fourth consecutive Pro Bowl starting appearance&ldots;was 143-1,722, 11 TDs receiving, his 4th consecutive 100+ season (115, 1999; 102, 2000; 109, 2001; 143, 2002)&ldots;became only player in NFL history with 100+ receptions in four consecutive seasons, while seasonal total broke the prior NFL record of 123 (Herman Moore, Detroit, 1995)&ldots;had entered season tied with Moore (Detroit, 1995-97) and Rice (San Francisco, 1994-96) with three consecutive 100+ seasons&ldots;broke prior Colts records of Raymond Berry for career receptions and scoring receptions (631, 68), marks that had stood since 1967&ldots;won NFL reception title for 1st time of career (shared lead in 2000), while it marked his 2nd AFC title (2000)&ldots;won reception title by margin of 31 receptions (112, Hines Ward, Pittsburgh)&ldots;won 2nd NFL reception yardage title (1,663, 1999; 1,722, 2002), while also winning AFC yardage title in 2001 (1,524)&ldots;was 14-138, 2 TDs vs. Dallas 11/17 to become 28th NFL player with 600 career receptions&ldots;also broke Berrys club record for career TD receptions vs. Dallas&ldots;had six double-digit reception games and club seasonal record 10 100+ games&ldots;was 9-172, 2 TDs at Cleveland 12/15 to surpass Moores seasonal NFL record of 123 receptions&ldots;Harrison (1,722) also produced his 3rd 1,500+ season with effort at Cleveland, and it ranks behind Rice (4, 1986, 1990, 1993, 1995) for 2nd-most in NFL history&ldots;was named AFC Offensive Player-of-the-Month for November with 42-481, 5 TDs receiving&ldots;Harrison (1,722) produced 4th-best seasonal reception yardage total in NFL history (1,848, Rice, SF, 1995; 1,781, Isaac Bruce, St.L., 1995; 1,746, Hennigan, Hou., 1961)&ldots;accounted for 30.8% of clubs seasonal net yardage (1,732-5,616) in 2002&ldots;more than doubled the clubs 2nd-leading player in receptions (61, James), the 2nd straight season he doubled the 2nd-leading receiver (47, Marcus Pollard), and the only two times it has been done in club history&ldots;was 4-34, 1 TD at Jacksonville 9/8&ldots;was 11-144, 1 TD vs. Miami 9/15, 8-110 at Houston 9/22 and 9-145, 1 TD, (3t) vs. Cincinnati 10/6&ldots;was 12-150 vs. Baltimore 10/13 for 4th consecutive 100+ game, tying personal-best streak&ldots;was 8-76 at Pittsburgh 10/21 and 6-77 at Washington 10/27&ldots;was 11-99 vs. Tennessee 11/3&ldots;was 6-137, 2 TDs (57t, 43t) at Philadelphia 11/10 to tie Berrys club record with 68 career touchdown receptions&ldots;was 14-138, 2 TDs (31t, 1t) vs. Dallas 11/17 to tie single-game reception high (14 at Cleveland 12/26/99)&ldots;surpassed 600 career receptions in NFL-record 102 games and broke Berrys (68) club record with 69th and 70th scoring receptions&ldots;was 11-107 at Denver 11/24 to become first NFL player with four consecutive 100+ seasons&ldots;was 9-101 vs. Houston 12/1, his 8th seasonal 100+ game and tied Berry (631) for Colts career receptions&ldots;was 9-76 at Tennessee 12/8 to become clubs leading career receiver&ldots;was 9-172, 2 TDs (25t, 3t) at Cleveland 12/15 to end contest with 127 receptions, the most seasonal receptions by a player in NFL history, while also becoming only NFL player with consecutive 1,500+-yardage seasons and only Colts player with four consecutive double-digit touchdown seasons&ldots;was 10-128, 1 TD vs. NYG 12/22 to produce 37th career 100+ game and set club record for most 10+ receiving games (12), surpassing the prior club mark of Berry&ldots;was 6-28 vs. Jacksonville 12/29. POST-SEASON: Started 1/4 at NYJ&ldots;was 4-47 receiving. 2001: Started 16 games for third consecutive season&ldots;was 109-1,524, 16 TDs receiving&ldots;ranked 3rd in NFL receptions, 1st in AFC yardage, 2nd in NFL, 2nd in AFC TDs, 4th in NFL, 1st in AFC TD receptions, 2nd in NFL&ldots;recorded 7-146, 3 TDs vs. Buffalo 9/23, scoring all TDs in the 2nd qtr. (39t, 39t, 7t)&ldots;was 9-174, 3 TDs (8t, 11t, 40t) vs. Miami 11/11, marking 6th career 3+-TD game&ldots;was 4-35 at NYJ 9/9 and 3-49 at New England 9/30&ldots;was 8-60, 2 TDs (3t, 6t) vs. Oakland 10/14 and 8-157, 1 TD (2t) vs. New England 10/21...was 8-98, 1 TD (47t) at Kansas City 10/25 and 5-32 at Buffalo 11/4&ldots;was 6-55 at New Orleans 11/18 and 8-128, 1 TD (15t) vs. San Francisco 11/25&ldots;was 5-89, 1 TD (57t) at Baltimore 12/2, 7-84 at Miami 12/10 and 5-66 vs. Atlanta 12/16&ldots;was 12-127, 1 TD (39t) vs. NYJ 12/23 and 5-96 at St. Louis 12/30...reached 500 career receptions in 90th game, the 2nd-fastest pace in NFL history to that plateau (89 games, WR-Lionel Taylor, Denver)&ldots;was 9-128, 2 TDs (20t, 43t) vs. Denver 1/6 to set club seasonal record for TD receptions (14, Berry, 1959; Harrison, 1999)&ldots;had 13 TD receptions at home, tying Rices NFL seasonal record&ldots;more than doubled the reception total of clubs second-leading receiver (47, Pollard), then the first time in Colts history the leading receiver more than doubled the runner-up. 2000: Totaled 102-1,413, 14 TDs receiving...tied with Carolinas Muhsin Muhammad for first in NFL receptions...one of only four NFL players to record 100+ receptions in 2000...ranked 1st in AFC TDs, 2nd in NFL, 2nd in AFC yards, 6th in NFL...tied with Denvers Rod Smith and Minnesotas Randy Moss for most 100+ receiving games with eight...14 receiving TDs tied Berry (1959) for then-most receiving TDs in a season by a Colt...surpassed 1,000 seasonal receiving yards in nine games, tying Berry (1960) for fastest streak to 1,000 seasonal yards in club history...produced then the 6th 1,000+ season in club history (1,663, Harrison, 1999; 1,298, Berry, 1960; 1,131, Brooks, 1986; 1,012, WR-Roger Carr, 1976; 1,038, WR-Reggie Langhorne, 1993)&ldots;had TD receptions in 10 different games to join Berry (10, 1959) for most number of games in a season with TD snare&ldots;Harrison (14 TDs) produced the 26th 10+ TD season in club history and teamed with RB-Edgerrin James (18 TDs) to form only then the 5th 10+ TD seasonal tandem in Colts history&ldots;held 27.4 avg. on 14 TDs (14-384)...became only player in club history to record 100+ games in first three games of season and he has accomplished feat twice (1999, 2000)...recorded four 50+-yard TD receptions (78, vs. NE 10/22; 76, vs. Jax. 9/25; 51, vs. NE 10/22; 50, vs. Oak. 9/3)...posted three 10+ reception games (13, at New England, 10/8; 12, vs. Minnesota, 12/24; 10, vs. Oakland, 9/10), which then was tied for most in a season (3, Berry, 1960; 3, Joe Washington, 1979)...was 9-115 at Kansas City 9/3 and 10-141, 1 TD (50t) vs. Oakland 9/10...totaled 2-103, 1 TD (76t) vs. Jax. 9/25 and joined Berry (6, G5-10, 1960) as only Colts with 3+ cons. 100+ games, but he is only Colt to do it twice...was 3-45, 1 TD (14t) at Buffalo 10/1, joining Berry as only Colts to have TDs in 4 cons. games twice and only fourth player in club history to record TDs in 4 cons. games (WR-Willie Richardson, Berry, Mackey)...posted 13-159, 1 TD at New England 10/8, then his second-highest career yardage total (196, at SD 9/26/99) and then tied for second-highest career reception total (14, at Cleveland 12/26/99; 13, at SD 9/26/99)...tallied 7-134 at Seattle 10/15...totaled 5-156, 2 TDs (51t, 78t), vs. NE 10/22...became first player since WR-Roger Carr (54t, 67t, at NE, 9/18/78) to score two 50t-yard TD receptions in same game and only fourth player in club history...his 78t grab from Manning was career-long...posted 9-109 vs. Detroit 10/29 for fourth cons. 100+ game...the only club streak longer is six by Berry (G5-10, 1960)...was 12-109, 3 TDs vs. Minnesota 12/24. POST-SEASON: Totaled 5-63 at Miami 12/30. 1999: Produced one of finest reception seasons in NFL history with 115-1,663, 12 TDs, including nine 100+ games&ldots;it marked then the 26th 100+ reception season in NFL history, the 5th-highest NFL yardage season and made Harrison one of 14 players to produce nine or more 100+ seasonal games&ldots;all three areas by Harrison (115, 1,663, 9 100+ games) broke prior Colts seasonal records (86, RB-Marshall Faulk, 1998; 1,298, 7, Berry, 1960)&ldots;ranked 2nd in NFL receptions, 1st in NFL yards and 1st in AFC TD receptions, T2nd in NFL&ldots;ranked 4th in overall AFC TDs, T7th in NFL&ldots;Harrison (115) combined with RB-Edgerrin James (62) to form then the most potent seasonal reception duo (177) in Colts history and with James (62) and WR-Terrence Wilkins (42) to form then the most potent seasonal reception trio (219) in Colts history&ldots;set then his career-best with 12 TD receptions&ldots;with TD receptions in games 1-4 in 1999, Harrison became first Colt since WR-Willie Richardson (G10-13, 1968) to have TD receptions in 4 cons. games and he joined Richardson, Berry (twice) and Mackey to tie for 7th-longest streak of cons. games with a TD reception in Colts history...had 7 TD snares of 20+ yards, the most from 20+ yards out in a season since 7 by Mackey in 1966&ldots;held 27.7 avg. on 12 TDs (12-332)&ldots;was 8-121, 2 TDs vs. Buffalo 9/12, his 2nd cons. 100+ effort on opening day (5-102, 1 TD vs. Miami 9/6/98)&ldots;was 7-105, 3 TDs at New England 9/19...had 5 TD snares in first two games, the fastest seasonal start by a Colts receiver since 4 in first two games by E-Dee Mackey in 1962&ldots;is third Colt with cons. multiple TD games (2 cons. games by Berry 10/30/60 at Dallas and 11/6/60 vs. GB; 2 cons. games by Orr 10/24/65 vs. LA Rams and 10/31/65 at SF)&ldots;was 13-196, 1 TD at San Diego 9/26...was 3-91, 1 TD vs. Miami 10/10 and 6-40 at NYJ 10/17&ldots;was 8-156, 1 TD (56t) vs. Cincinnati 10/24&ldots;was 6-85, 1 TD (40t) vs. Dallas 10/31&ldots;was 7-93 vs. Kansas City 11/7 and 6-109, 2 TDs (19t, 57t) at NYG 11/14&ldots;was 5-60, 1 TD at Philadelphia 11/21 and 5-58 vs. NYJ 11/28&ldots;was 8-125 at Miami 12/5, 6-118 vs. New England 12/12 and 9-117 vs. Washington 12/19 to produce second 3+ cons. 100+ game streak, then was 14-138 at Cleveland for fourth cons. 100+ game&ldots;14 receptions at Browns set club record for receptions in a game, and it was his ninth 100+ game&ldots;nine 100+ games in a season then was T4th-best in NFL history and Harrison was 1 of 14 players with 9+ 100+ games in a season (11, Michael Irvin, Dal., 1995; 10, Charley Hennigan, Hou., 1961; 10, Herman Moore, Det., 1995; 9, Elroy Hirsch, LA Rams, 1951; 9, Bill Groman, Hou., 1960; 9, Lance Alworth, SD, 1965; 9, Don Maynard, NYJ, 1967; 9, Stanley Morgan, NE, 1986; 9, Mark Carrier, TB, 1989; 9, Robert Brooks, GB, 1995; 9, Isaac Bruce, St.L., 1995; 9, Jerry Rice, SF, 1995; 9, Jimmy Smith, Jax., 1999)&ldots;was 4-51 at Buffalo 1/2&ldots;earned AFC Offensive Player-of-the-Month for September. POST-SEASON: Was 5-65 vs. Tennessee 1/16. 1998: Started first 12 games before suffering separated shoulder 11/29 at Baltimore...placed on injured reserve 11/30 and missed remainder of season...was 59-776, 7 TDs and ranked 3rd in AFC receptions, 6th in NFL, 5th in AFC reception yards, 13th in NFL, at time of injury...was 9-128, with 38t vs. NYJ 11/15 to tie career-best in receptions and establish career-best in yardage...was 5-102 with 4t vs. Miami 9/6...along with Manning (21-37-302) formed only second 300+ passing/100+ receiving opening day duo effort in club history (John Unitas, 401; TE-John Mackey, 6-126; vs. Atlanta 9/17/67)...also marked only 5th opening day 100+ receiving outing in club history...was 6-98, 3 TDs at San Francisco 10/18 to mark second 3-TD game of career...Harrisons 61t reception and Faulks 65t rush marked first time in club history a 50t scoring rush and reception occurred in same game...was 7-95 vs. New Orleans 9/27 and 7-77 at NYJ 9/20. 1997: Led team in receptions (73), receiving yards (866) and receiving TDs (6) for second consecutive season...did not start 9/7 vs. New England as club opened in two-TE set...73 receptions were then 6th-best seasonal reception total in team history...Faulk (1,054 rushing), Harrison (866 receiving) and WR-Sean Dawkins (804 receiving) marked only second time in club history (1989; Eric Dickerson/1,311 rush; Bill Brooks/919 receiving; Andre Rison/820 receiving) Colts produced 1000+ rusher and two 800+ receivers in same season...was 9-74 receiving 9/7 vs. New England...posted 8-98, 1 TD vs. Green Bay 11/16 for season-high yardage total...totaled 7-65, 1 TD at Minnesota 12/21 with 2t and 2-point reception...was 5-64, 1 TD at Buffalo with 2t...had 18t 10/12 at Pittsburgh and 20t 11/23 at Detroit. 1996: Led team in receptions (64), receiving yards (836) and receiving TDs (8)...ranked behind only Brooks (65-1,131, 8 TDs) in Colts history in rookie receptions and yards while tying for rookie TDs...joined Dan Edwards (1954) and Matt Bouza (1982) as only rookies to lead Colts in receptions...joined Faulk (1994), WR-Andre Rison (1989), Brooks (1986) and RB-Royce Womble (1954) as only Colts rookies with receptions in each game (Pathon accomplished in 1998)...was 6-85, with 35t reception vs. Arizona 9/1...became first rookie WR to start opening game in 2-WR set since 1980 (Raymond Butler)...was 5-102-20.4 PR avg. 9/8 at NYJ to earn AFC Special Teams Player-of-the-Week honors...had 31-and 29-yard punt returns, while 102 total yards were 6th-highest single-game total in club history and 2nd-best by rookie (107, Dewell Brewer vs. Miami 12/18/94)...was 6-93, 1 TD receiving 11/24 at New England with 37-yard grab to set up 5t catch...had first career 100+ outing with 7-106, 1 TD vs. Philadelphia 12/5...had 20t snare and had 30-yard reception to help set up final TD...was 6-103, 3 TDs receiving at Kansas City 12/15 to earn AFC Offensive Player-of-the-Week and Miller Lite NFL Player-of-the-Week honors...had 3t, 5t and 37t to tie club mark for receiving TDs in a game...tied club rookie mark by posting second consecutive 100+ outing (Brooks, 1986)...had 9t vs. San Diego 11/3 and 4t vs. NYJ 11/17 for other scores. POST-SEASON: Was 3-71 receiving at Pittsburgh 12/29, including 48-yard reception to set up TD. 1996: AFC Special Teams Player-of-the-Week (9/8 at NYJ)...AFC Offensive Player-of-the-Week (12/15 at Kansas City)...Miller Lite NFL Player-of-the-Week (12/15 at Kansas City)...Football News NFL All-Rookie First-Team. 1999: Pro Bowl Starter&ldots;Associated Press, Sporting News, Sports Illustrated, College and Pro Football Newsweekly, PFW/PFWA, Football Digest, Football News NFL All-Pro First-Team&ldots;NFL Alumni Wide Receiver-of-the-Year&ldots;PFW/PFWA All-AFC Team&ldots;Football Digest Most Improved Player&ldots;Miller Lite Player-of-the-Year Finalist&ldots;All-Madden Team...AFC Offensive Player-of-the-Month (September)...Sixth-most NFL Pro Bowl fan votes (91,818). 2000: Pro Bowl Starter&ldots;Sporting News, PFW/PFWA NFL All-Pro First-Team...Associated Press, College and Pro Football Newsweekly, Football Digest NFL All-Pro Second-Team...PFW/PFWA, Football News All-AFC Team...Seventh-most NFL Pro Bowl fan votes (149,971). 2001: Pro Bowl Starter...College and Pro Football Newsweekly NFL All-Pro First-Team...Associated Press NFL All-Pro Second-Team...PFW/PFWA, Football News All-AFC Team. 2002: Pro Bowl Starter&ldots;AP Sports Illustrated, Sporting News, Football Digest NFL All-Pro Team&ldots;PFW/PFWA, College and Pro Football Newsweekly All-NFL Team&ldots;PFW/PFWA All-AFC Team&ldots;AFC Offensive Player-of-the-Month (November)&ldots;AFC Offensive Player-of-the-Week (12/15 at Cleveland)&ldots;NFL Alumni Wide Receiver-of-the-Year...Phil Simms Ironman Team. 2003: Pro Bowl Starter&ldots;Associated Press NFL All-Pro Second-Team&ldots;Sporting News NFL All-Pro Team&ldots;PFW/PFWA All-AFC Team&ldots;AFC Offensive Player-of-the-Week (10/6 at Tampa Bay). 2004: Pro Bowl Starter&ldots;Associated Press NFL All-Pro (Second-Team)&ldots;College and Pro Football Newsweekly NFL All-Pro (Second-Team)&ldots;Sporting News NFL All-Pro Team&ldots;PFW/PFWA All-AFC Team. At Syracuse University he set school records for most receiving yards in a career, average yards per game, and most receiving yards in a single season. Four-year letterman and three-year starter...career totals included 42 games with 30 starts and 135-2,718, 20 TDs receiving...also was 42-12.9 avg., 2 TDs PR...ranked 1st in school history in receiving yards, 2nd in TDs (22, Rob Moore, 1987-89), and 3rd in receptions...was consensus All-Big East as senior after starting 11 games and posting 56-1,131, 8 TDs receiving...led conference, set school record and ranked 8th in nation with 102.8 receiving ypg....ranked 3rd in nation with 22-16.8 avg., 2 TDs PR...had 96t reception vs. West Virginia, the longest reception in school history...had 94t PR vs. Minnesota...capped career with 7-173 and 56t and 38t receptions in 41-0 win over Clemson in Gator Bowl...started 10 games as junior and posted 36-761, 5 TDs receiving, 5-68, 1 TD rushing and 18-9.2 PR avg....saw action in 11 games with nine starts as sophomore and was 41-813, 7 TDs receiving...saw reserve action in 10 games as freshman and posted 2-13 receiving vs. Temple for seasonal receiving totals...redshirted in 1991...holds degree in retailing. Full name is Marvin Harrison...born in Philadelphia, Pa....attended Roman Catholic High School...was three-time Maxwell Award winner, given to citys top player...also lettered three years in basketball...host to approximately 40 youths from Terre Haute Hyte Center during training camp and each kid received a jersey and lunch...hosted a Christmas celebration with residential children at Northwestern Humane Services in Philadelphia...donates ticket to each home game to Police Athletic League (PALS)...Harrison, along with Donovan McNabb and Bobby Taylor of the Philadelphia Eagles hosted a three-on-three charity basketball tournament in Philadelphia in off-season to benefit March of Dimes...participated in Colts-Star/News Gridiron Geography program...sponsors "Effort to Succeed" program which honors students from Philadelphia schools...sponsors one Philadelphia high school student each summer to attend Syracuse University...appeared on Wheel of Fortune during Super Bowl week in 1999 to raise money for underprivleged children in Syracuse, NY&ldots;had special turkey giveaway at Thanksgiving for inner-city Philadelphia residents&ldots;participated in Cookies for Kids program that benefited the Indianapolis Housing Agency Development&ldots;his mother, Linda, was one of the 16 founding members of the Pro Football Players Mothers Association...participated in 2004 NFL Youth Football Funds Player Matching Grant program by making contribution to former high schools athletic department...single...resides in Philadelphia, Pa.
Fueled by a steady diet of Tastykakes, the Colts' Marvin has become one of the league's most frightening receivers . 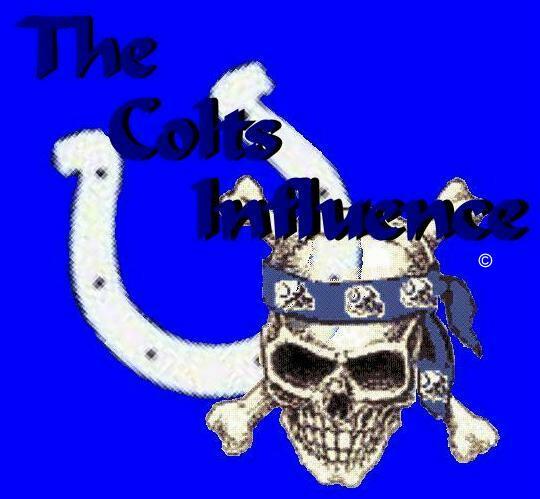 . .
Pictures and logos, team names are property of the National Football League and/or The Indianpolis Colts.